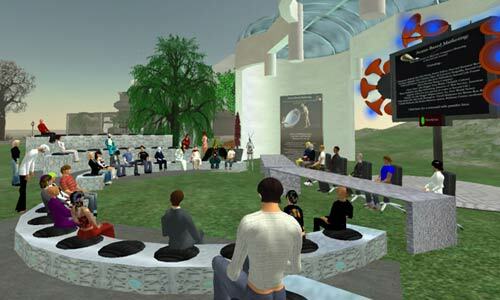 According to the Nikkei [Subscription link], a research team at the University of Tokyo has come up with a virtual-reality system that could transform the way we see games like Second Life by allowing players to actually walk around as they explore onscreen environments. Still in prototype, the system is based on a waist-mounted camera and a ‘magic carpet’ on the floor that has fixed points of reference for calibrating movements in the real world. It interprets these into actions in the virtual arena and then displays the results on anything from a headset to a giant screen. With the possibility of adding a gesture-based interface to control aspects of the game, the scope for a virtual setting like this is limitless, so we’ll bring you full details once the wraps are properly off.